Learning and engagement are critical to the success of any trek, but they are especially important when children are on the trail. 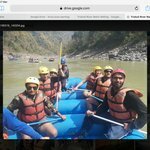 Raj believes that a successful family trek depends on a combination of factors like group’s level of fitness, the kids’ personalities and family dynamics. “All those things make a big difference,” he says. Raj does have one big caveat for people considering family treks: “When you are going to high altitudes you have to be a bit careful about children, who will not express pain. You also have to consider parents who do not understand how their children react in a high altitude situation, so you just avoid higher altitudes,” he says. 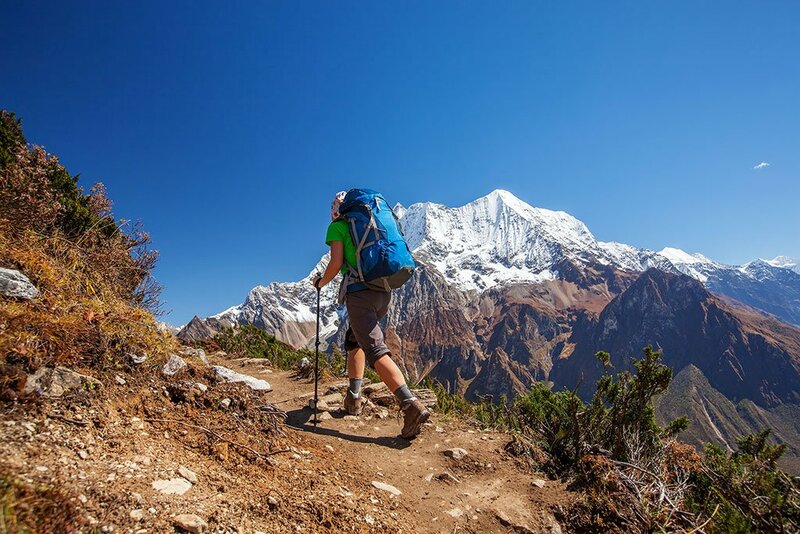 Symptoms of altitude sickness can include headache, loss of appetite, and trouble sleeping. Altitude sickness most often occurs when people go from lower altitudes to 8,000 feet or higher too rapidly. The air thins the higher you go and breathing gets faster to compensate, which can cause headaches. Experts recommend gradual and prudent acclimatization. Trekking has no age limits, Raj says. “For older people, we modify hikes so there is good road access. But the older people who come to Nepal know what they can do and some of them are really tough hikers. They come with a new knee or a new hip and off they go. Age is never an issue,” he says. He has led treks that included disabled children, a woman who was 80 percent visually impaired, and an obese man. He says he easily could see an amputee with a blade being able to trek as well as an athlete who uses a wheelchair. “They have all these special wheelchairs now, but it’s tough,” Raj says. “It all depends on the person. What I’ve learned is that it is far easier to take special needs people on treks than it is to take regular people,” he says. That’s because people with special needs are accustomed to physical challenges and they will be upfront with what they can and can’t do. Able-bodied people assume they can handle anything and will suffer in silence but get angry later, he says. We appreciated the open communication and prompt replies to all our questions. Amanda very quickly gauged our interests and capabilities and planned a trip for us accordingly. Amanda was a gem. Unfortunately I requiredhospitalisation early on in the trip. Amanda was so supportive and understanding. She guided us through the process and after resting she quickly rescheduled our trip so we could maximise our time. This involved organising an alternative trek more suited to our needs at this time. All our drivers, guides and accomodation were top class.